The DJI Spark is one of the hottest new drones out there, but it is certainly not for everyone. First there is the high price. For the size of drone and the quality of the video (1080p) it is quite a lot to pay over 500 bucks. There is also the size issue (because the arms are not foldable) as well as some other things which are great (or annoying) depending on what you are after. So, in this review I am going to show you some other great options you have and their pros & cons so you can quickly decide for yourself! The drones in this review are all good options. They vary in price, starting at a few hundred dollars. In most cases, the more you pay the better the drone. Keep in mind pro level drones cost over a thousand bucks and only the DJI Mavic Pro is anywhere near good enough (more on that below). Portability is a big thing when it comes to drones because they often weight a bit and take up a lot of space. So, if you want to be able to either put it in your pocket or bag for easy use on the go. You need it to be collapsable and light. The second biggest consideration is always video/photography. Unless you don't need it at all. Most drones come with a 12MP sensor which will give you reasonable to great photos. However, in order to get 4K video you will have to pay quite a lot (in most cases). Most lower-end drones only to Full HD (or 1080p). Just be aware that as tech improves and 4K becomes the new normal, you might have to upgrade. One of the other big differences between the drones is what kind of built-in modes it has. They are often called "intelligent flight modes". The minimum you want to accept is a RTH or Return To Home mode (which all should have) that brings the drone back when there are problems (loss of connection, low battery etc). However, if you want to get some of those cool aerial videos you see online, often you need these modes to achieve it without weeks of practice. Things like circling a point of interest, or doing a helix (up and around) above something/someone. Lastly, the one that might annoy you the most is battery life (or flight time). Smaller/cheaper drones have way smaller batteries and you need to keep in mind that means (often) less than 10 minutes flight time. The Dobby ZeroTech is a great option for those that want a decent drone at a lower price point. When I was hunting for a present for my niece who suddenly became drone obsessed (and I did not want her playing with my Mavic Pro) I settled on this one. More info on the specs here. This drone works well both indoors and outdoors, so is a fun drone as well as having a decent camera. The photos are taken with a 13MP camera and it can shoot up to 1080p which is decent for the price. There is no mechanical stablization though, just software, so the videos will be good but not as great as the Spark. There is only 9 minutes flying time which might be a little frustrating and spare batteries are not cheap (about 50 each). However, it's a great starter drone with some cool features and video/camera included. Not bad if you ask me! Parrot have been making drones for a while now and their Bebop 2 is another decent drone worth your time. The impressive thing with this drone is the flight time - 25 minutes. That rivals the Mavic Pro, a way more expensive drone. Of course, a bigger battery means a heavier and larger drone, so the Bebop 2 is 3x the length of the Dobby and more than twice the weight. The video specs are quite similar but if you get the package with the controller you can fly up to 1.25 miles away. That is just not possible with wifi for any drone. The Parrot Bebop 2 has a lot of pros and cons. It's First Person googles with long flight time and long distance controller make for a far more "fun" experience. It also includes a decent camera and video with stablization. All in all this is a great drone for those wanting to fly a bit further and for longer, or experience FPV flying which is a whole other level! Quite a new contender on the market, the Genius Idea Follow Me drone is a super portable drone that is the closest thing to the Spark I have seen in a while. it's shape and layout is very similar to the Spark, it is also a tiny big lighter. It also comes with quite a lot of the same flight modes (see specs). The big bonus with this drone is the battery life, which is claimed to be 18 minutes or more and also the type of battery - small, round and cheap Lithium batteries. It is also about 2/3 the price of the Spark. For those not wanting anything fancy in terms of controllers or flight modes, this is a great option. 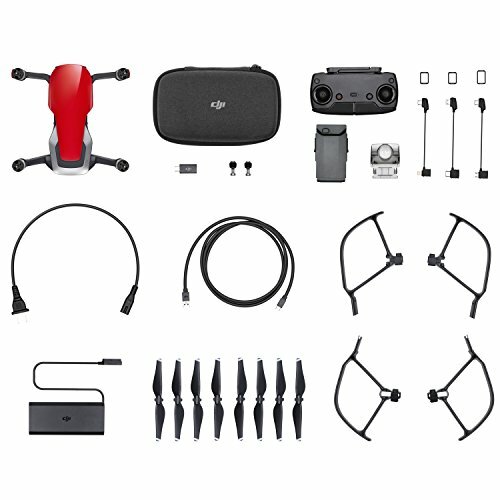 It is a reasonable price, very light and portable and a great way to either get drone experience or take some cool selfies and videos when out and about. The Wingland S6 is similar to the Dobby in terms of it's small size, light weight and of course short flight time. But if portability is what you want, this drone delivers! It also has 4K video, which is rare for such a small drone. If light and portable with decent video is what you are after, this might be the perfect drone for you. Of course, the build quality is less than any DJI product, but you can't have everything, right? The Xiro Explorer Mini is a great selfie style drone that is also collapsable. That means it's very compact and portable, however at 16oz it is not as light as say the Dobby. The extra weight is because of the battery though - which means a longer flight time of 15 minutes. It has an extra battery in the kit too which is great as you don't have to buy one (which you will for most other drones). The Yuneec Breeze is similar to the Spark in that it is small but NOT collapsable. However, it also has 4K which is nice, and quite a few flight modes to help you take some great shots. If you want to see this baby in action, check out this quick overview review below. There used to be only the DJI Spark or the Mavic Pro when it came to super-portable drones for the average Jo like you and me. 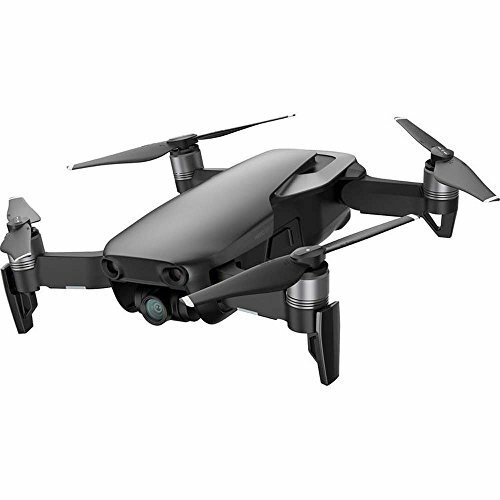 Then DJI upped the ante and release an in-between drone - the DJI Mavic Air. Even smaller and lighter than the Mavic Pro, but a few more features/specs above the Spark. So, if you are seriously thinking about a Spark, this is the toughest decision - Spark vs Mavic Air. This is perhaps one of the best portable drones to come on the market since the Mavic Pro and Spark. It just combines the best of both their worlds. The DJI Mavic Pro is an alternative to the Spark worth mentioning because it is really its big brother. The Mavic is also quite new on the market and has similar intelligent flight features to the Spark (without the gestures). However, what it has over the Spark is it's collapsed size, which is a lot narrower (and easy to pack/carry). It also has a remote controller as standard (extra with the spark and often not an option with most small drones) which means it's range is an insane 4 miles and flight time of around 25 minutes! 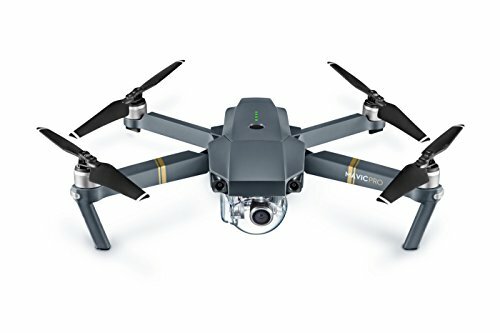 All in all the Mavic Pro is a serious drone at about the thousand bucks mark (without all the extras). So, if all you are after is an entry level, give this a miss. But, if you are serious about having a portable drone that can also do great selfies, this is your guy for sure! Here is a full review from the Youtube star Caisey Neistat - forward to 2:40 to see the review!